DMX512 opto isolated RS485 interface. 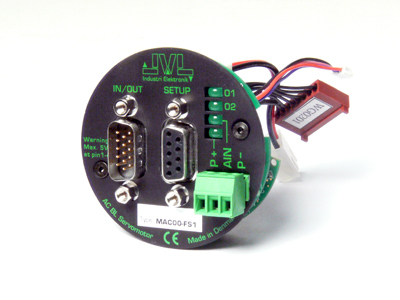 High speed isolated RS485 module for up to 255 multiaxis applications. I/O are available for local home sensor or limit input and thereby avoid long cables to PLC. It is possible to send new position data to 255 axes in just 133ms and thereby save valuable machine set-up time. The FSx module is the only product on the market that has this possibility where normal transmission speed is 38kbit or 56Kbit transmission. The module has proved it´s worth in several projects with more than 200 axes. RS232 and RS485 are available and by using the MACComm OXC (ActiveX) together with the FS1 module makes it easy to develop Windows software applications.